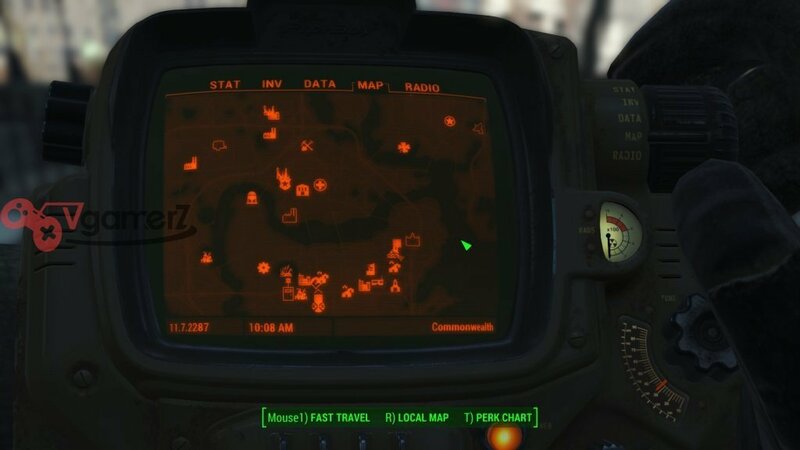 Swan is a mini boss in Fallout 4 and you will most likely meet him when doing the Road to Freedom mission in the game. He’s normally really difficult to defeat because of his high health, so normally Power Armor would be required, but I personally managed to defeat Swan easily, without a lot of headaches and without Power Armor. 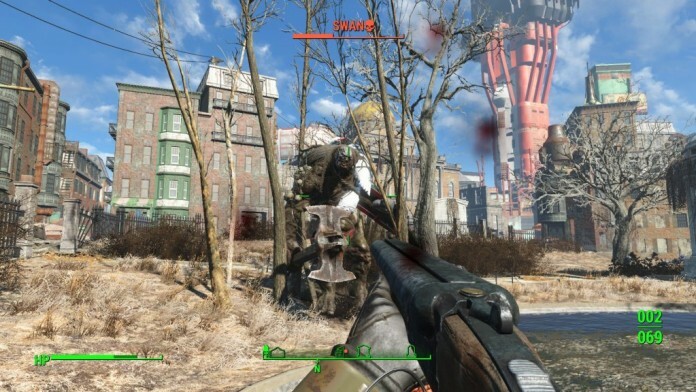 I was also really low on ammo, so I took him out with a regular shotgun. Do you want to know how? Then read on for Vgamerz’ guide on how to easily kill Swan in Fallout 4. Now, in order to easily defeat Swan, we have to prepare a little bit: first, save the game as you might need reloading in case you can’t do it the first time. Then, enter the area from the south (where the Road to Freedom sign is) and move straight forward to the pond. When you are close to it, send Piper to the left side of the Pond, then you move after her… If Swan doesn’t spawn, you will have to enter the pond, but get out quickly. Yes, that is true! 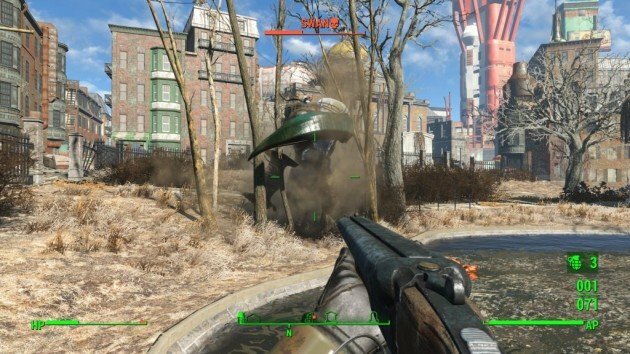 Just like Deathclaws who get stuck behind doors, Swan will get stuck behind those trees and you can easily pop him up. He will still throw rocks at you, but won’t do anything else. You can easily take him out with any weapon, even a pistol if you have enough ammo. Just make sure that you don’t change your position so that he doesn’t move and you’ll be just fine. This is it! 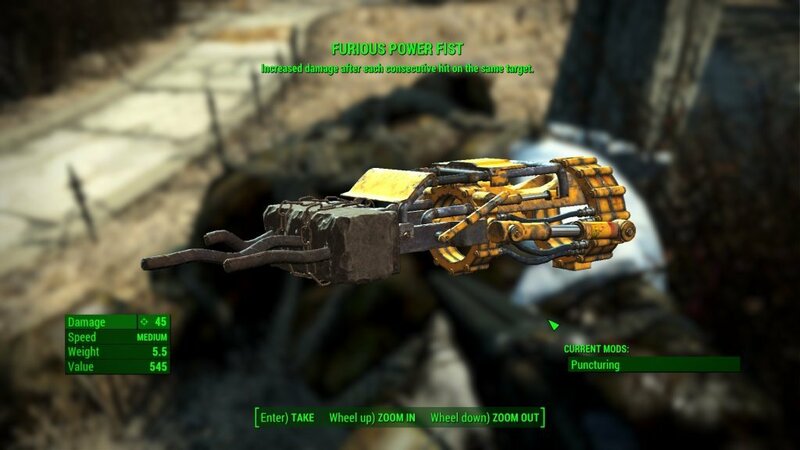 This is the easiest way to kill Swan in Fallout 4! Hope you enjoy it!